Try for free for 30 days! Without any commitment! Thanks to our expierience and knowledge in both invoicing and company management we can offer you the solution on the market today! 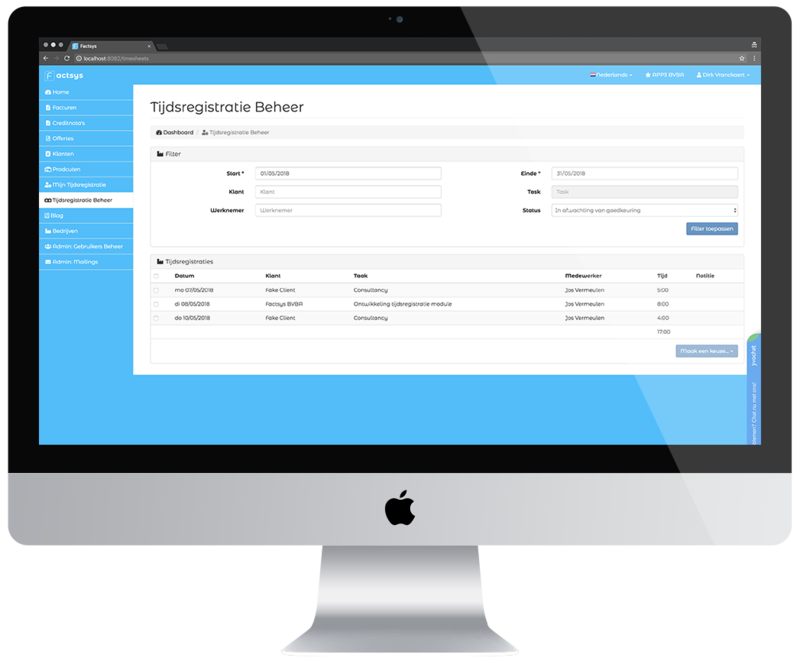 The advanced time registration module helps you to invoice your hours (and those of your employees) to your clients! 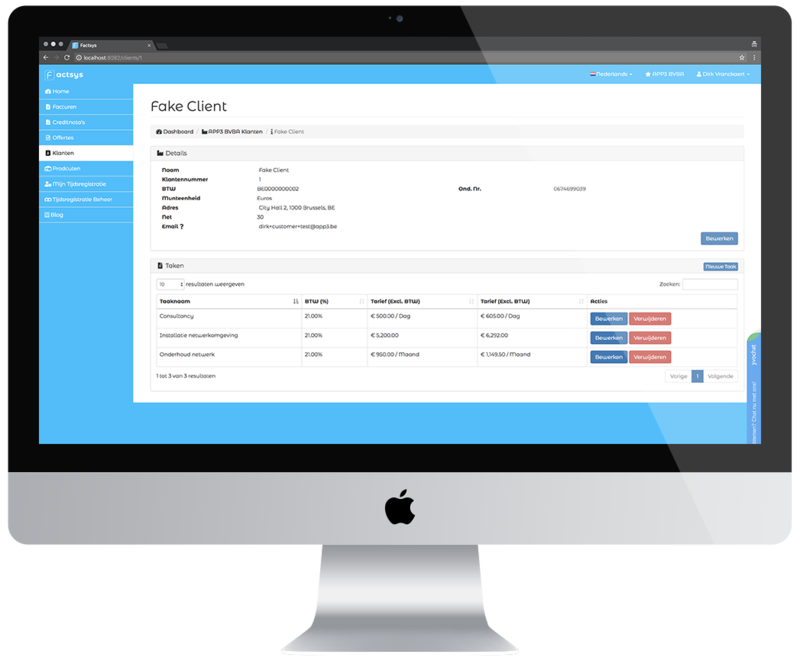 The clients module lets you manage your clients (both private and companies) and their tasks.